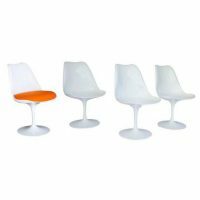 This original early white tulip chairs are designed by Eero Saarinen in 1956 for the Knoll company of New York City. The chair was designed primarily as a chair to match the complementary dining table. The chair has the smooth lines of modernism and was experimental with materials for its time. 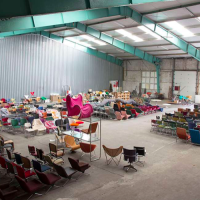 The chair is considered a Classic of Industrial Design. 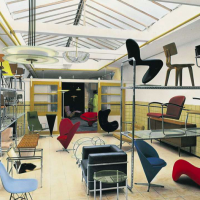 The chair is often considered "Space Age" for its futuristic use of curves and artificial materials. On request reupholstery is possible in any kind of leather or fabric of your choice. Please ask for more information and the many possibilities by our in-house atelier. Dit bericht svp versturen voor prijs en/of bezichtiging info. Als u meer vragen heeft kunt u daarna reageren op de auto-reply.